Being the first VR headset out the gate, along with wide availability and low cost, allowed Samsung's headset to ahead of the other headset vendors before their competing devices hit the shelves. 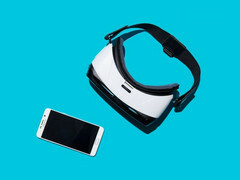 Samsung’s budget-friendly VR headset, the Gear VR, was the most popular VR headset in 2016 in terms of units shipped, selling more units than all of its competitors combined. According to a report by SuperData, Samsung sold 4.51 million Gear VR headsets, followed by Sony with 750,000 units on the Playstation VR in distant second. The HTC Vive shipped 420,000 units, and the Oculus Rift shipped the least with only 250,000. The report attributes Samsung’s significant lead to the decision to give away hundreds of thousands of Gear VR headsets with Galaxy S7 pre-orders, along with a lower price tag. Now that the Google Daydream is retailing for $20 cheaper than the Gear VR, competition in the mobile headset realm is likely to become more intense. While the Oculus focuses primarily on gaming and social applications, the Vive is the preferred device for enterprise developers. Gaming makes up a little under half of the VR market, with gamers spending an average of 7 minutes on mobile VR per play session and 12 minutes if they used a high-end headset. This may seem like a short amount of time, but users found using the device enough to keep coming back, in many cases putting the headset back on multiple times each day.